TIP Development has a particular skill for Management & Development that combines an ability to interpret client objectives creatively with a thorough understanding of what can be produced technically. This is built on an underlying ambition to push both boundaries to their limits. 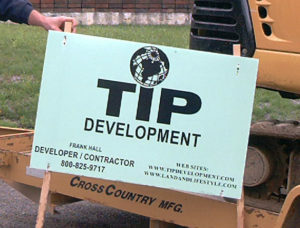 TIP Development’s strong Professional Team of Independent and Experienced Contractors (together for 20 years) offers a total turnkey solution for projects that often have one opportunity to be perfect for one important audience. The client. The benefit of experience and thorough planning is paramount. This experience has been developed and tested with a range of clients and venues that transcend industry sectors and geographical boundaries. Frank Hall, Owner/President TIP Development has over 30+ years of development with Project Management Experience in Hotel Development, Custom Modular Homes, Log Homes and House Restoration & Renovations. In the past 10 years has Constructed over 30 Residential Custom Modular and Log Homes in the Central & Southern Vermont areas and Massachusetts. Barry Berard (Partner) and Owner of Berard Excavating Has over 50+ years of Experience in Construction, Excavating, Foundations, Septic Systems and Residential Building of Custom Modular Homes, Modular Log Homes, Log Homes in Central & Southern Vermont.